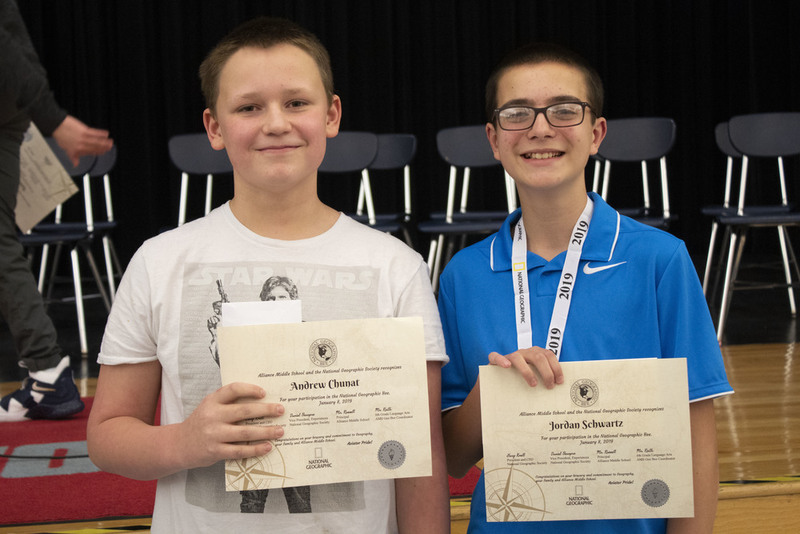 For the third year in a row, Jordan Schwartz used his geography skills to win the annual YWCA Geography Bee held at Alliance Middle School on Tuesday, Jan. 8. The competition was strong this year, with far more questions being asked than in years past. Ten students started out in the competition. The students were eliminated after two wrong answers until there are only two contestants remaining. This year, Schwartz, an eighth grader, went into the final round against Andrew Chunat, a sixth grader. Where the previous rounds had offered the students possible choices, the final round required Schwartz and Chunat to come up with answers to three questions on their own. The student with the most correct answers at the end of three questions was named the winner. “I’ve been practicing a lot and it’s good to feel it paid off,” Schwartz said. Schwartz uses notecards to help study along with looking at maps, online sites and going on road trips to help him learn about geography. This was Schwartz’s last year to take part in the geography since he will be moving to Alliance High School for the next school year. He’s sad to have his time as a geography bee contestant come to an end. As the first place winner, Schwartz is eligible for a $1,000 scholarship courtesy of the Alliance YWCA and received a $100 cash prize. Chunat is eligible for the same scholarship and received a $50 cash prize for being the runner up. This was the twelfth annual Geography Bee sponsored by the YWCA of Alliance. 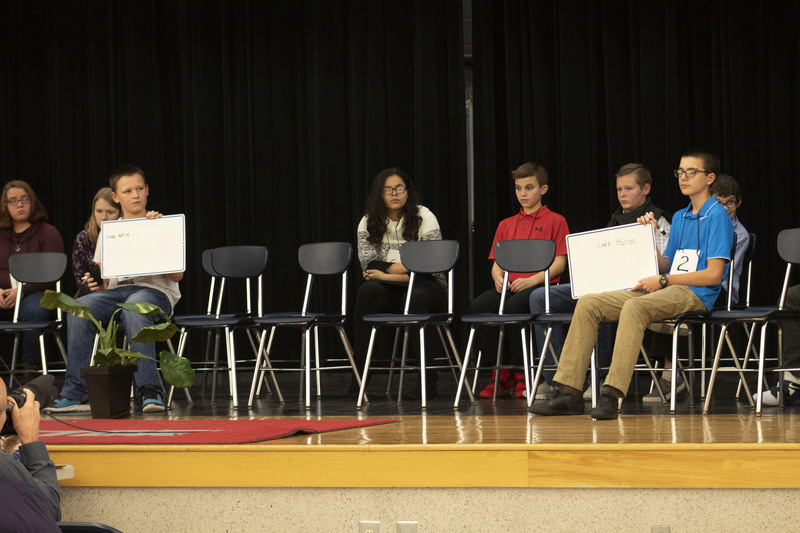 This year, the geography bee was judged by Juliann Doerschuk, Laura Stauffer and Perry Mann. 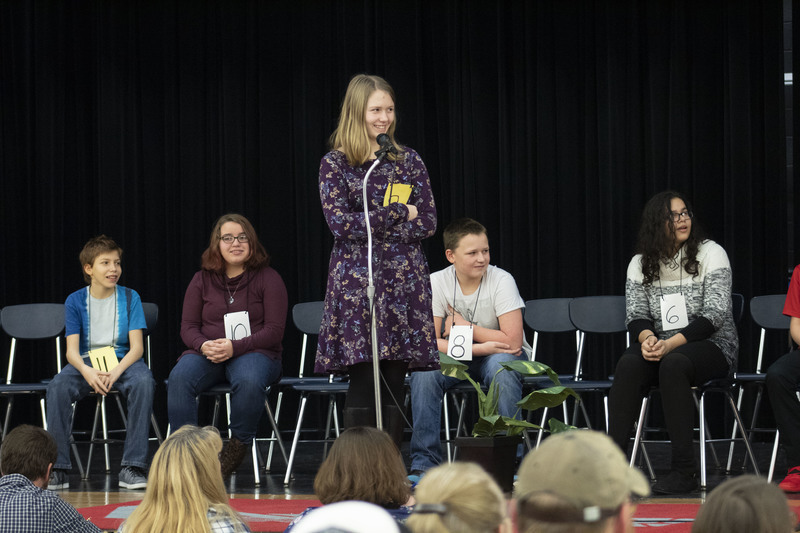 Reith is looking for more contestants for next year’s Geography Bee. Many of the students who participated this year are in their last year at the middle school, including his son, Ramsey Reith. Students wishing to take part in the Geography Bee next year can join the Geography Club after school during the Navigators program.